As Alexis Zegerman wrote for Raising Films, cuts to state-funded childcare made in the name of austerity are a “real smack in the face to working parents, but mainly working mothers.” We see Raising Films as part of a network of campaigners for state child and adult care funding – but also as working alongside groups forging creative caring projects, out of necessity and joy. Parenting and caring work can prove isolating, especially if and when it impacts access to your creative and professional networks. But with time, effort and co-ordination – our caring relationships can also be a source of community-building and creativity in themselves. Here’s our selection of particular favourite interventions… and tweet @FFFilmmaking with your examples so we can add them here! Chalk‘s Cineplay pop-up screenings show that creative caring can even raise films! Viv Groskop writes beautifully about nurseries and retirement homes sharing space in a state-funded project in France. Cultural ReProducers is an evolving group of active cultural workers who are also parents. This site is for anyone interested in making the art world a more inclusive and interesting place by supporting arts professionals raising kids. We love the Intergalactic Conspiracy of Childcare Collectives. The current working groups are in the US, but the website has lots of amazing resources for collective childcare and creative learning/play. If you’re in London, look out for open days at Mother House by Pro Create Projects: an experimental art space for mother-artists with a co-produced and flexible childcare model. Mothers Who Make via their Facebook group offer workshops, support and discussion for artist-mothers incorporating creative practice into their caring. QUILTBAG Babysitters Club is a project connecting queer and queer-friendly babysitters and families in the UK. The link takes you to their Facebook group. 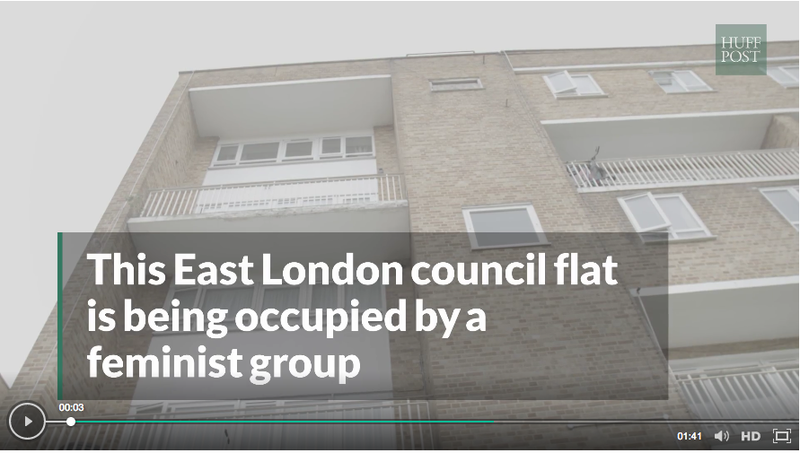 We support Sisters Uncut in all they do – and hope there will be more actions like the reclaimed council house in Hackney that included a breakfast club for families, and a drop-in community centre.